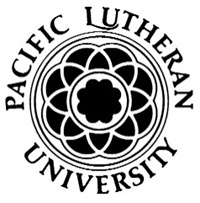 Hurley Engineering Company was asked to evaluate and propose a replacement steam boiler serving the kitchen cooking appliances for the Columbia Center at PLU. The existing Cleaver Brooks Boiler was over 25 years old and had some failing components that were obsolete and expensive to replace. Not only were parts unavailable, the existing capacity had changed over the years making the existing boiler oversized and inefficient for the application. We proposed a Triad Series 300 Vertical Steel Firetube low pressure steam boiler sized at up to 345lbs/hr to match the current steam requirements. The new Triad Boiler was installed during the winter break while the kitchen equipment was not being used. Triad Boiler Systems offers a complete line of hot water and steam boilers that will fit most any application. Please contact Hurley Engineering Company to provide a complete system evaluation for your mechanical equipment needs. Located in the heart of Portland’s Cultural District, Vue apartments is in close proximity to the Portland Art Museum, Oregon Historical Society, Keller Auditorium and much more. Located at the center of the Park Blocks and walking distance to Portland State University. Views range from the west hills, to the beautiful Park Blocks, Portland’s amazing skyline and OHSU. Just steps from the Streetcar, Starbucks, Subway, Rogue Brewery Restaurant, and the Portland Farmer’s Market. 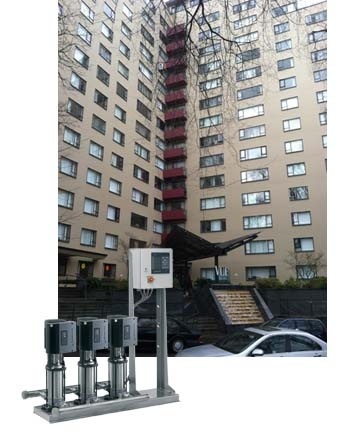 Riverstone property management had a problem with its prime property The VUE apartments, its 16 story apartment complex domestic water pressure boosting system was old and antiquated . Its constant speed 40HP base mounted pumps ran constantly 24 hours a day with a thermal water purge when the pumps began to get hot. Water was wasted by the hundreds of gallons each day. In addition Riverstone Management saw that their energy costs were not going to get any cheaper. Something had to be done. Portland Mechanical the installing Mechanical contractor saw the solution. 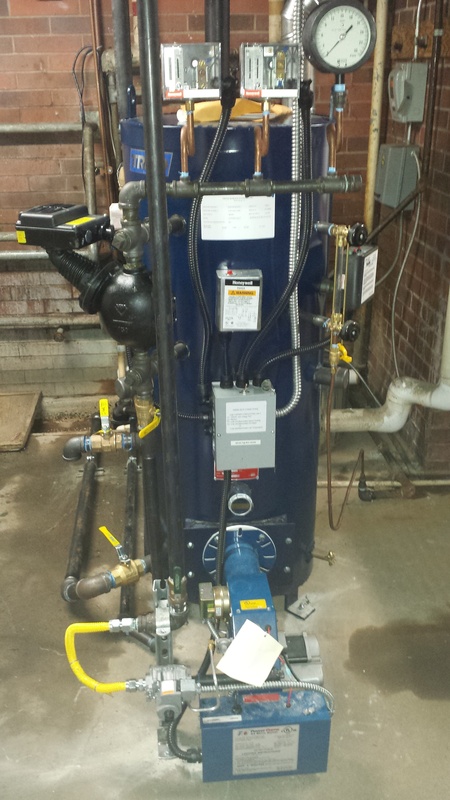 Upgrade this antiquated booster system with a Grundfos BoosterPAQ Triplex Booster system. It was a perfect fit. The mechanical room was down deep in the basement of the building. The contractor because of the BoosterPAQ ‘s footprint was able to easily move the system into place. In addition the Vue Apartments had an existing 1000 gallon compression tank the BoosterPAQ could pressurize.